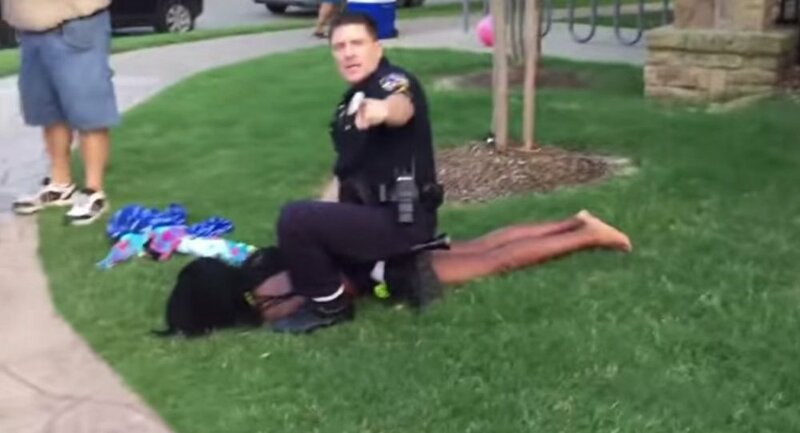 Over the weekend, video of a police officer violently apprehending a black teenager at a McKinney, Texas pool party went viral. Now activists and journalists, including Sputnik’s own Cassandra Fairbanks, are planning a massive pool party of their own, all in the name of inclusion. Last month, a celeb-packed shindig was thrown in Los Angeles to take a stand against online bullying. DJ’d by electronica legend Moby, the celebration brought together thousands, including musician Andrew WK, anti-bullying advocate Monica Lewinsky, and a video message from hip hop wunderkind Pharrell. The cause? Tolerance and inclusion. This party was thrown by Sputnik’s own Cassandra Fairbanks and her fellow activists, after a mean-spirited online campaign targeted 47-year-old Sean O’Brien for simply trying to have a good time. Fairbanks spotted an injustice and sought to correct it by throwing O’Brien his own Dancing Man party. "I thought it was so horrible," Fairbanks said. "I mean, anybody with any sense was horrified by this. It is wrong. My first thought was, 'Wow, we’ve got to throw the best party ever!'" For many, Friday’s video of a police officer roughing up teenagers during a pool party elicited a similar response of shock. Filmed by 15-year-old Brandon Brooks, the video shows Officer Eric Casebolt throwing a 14-year-old girl to the ground, kneeling on her back, and pointing his gun at a group of teenage boys. Police maintain that they were justifiably responding to a complaints from a neighbor, though Officer Casebolt resigned from the department on Tuesday, according to local affiliates. Shortly after the video surfaced, Fairbanks says she was contacted by activist Andrew Demeter with an idea: to organize a pool party of their own, open to everyone. "The intention of these teenagers was simplistic and innocent: to celebrate the last day of school by throwing a pool party," Demeter said. "However, because the event was interrupted, we feel it is necessary to give these students – and anyone else who wants to join in the fun – the party they deserve." Fairbanks jumped at the opportunity to help organize another event to promote a message. And as far as she’s concerned, this message isn’t all that different from the Dancing Man party. "The dancing man party was about inclusion and this will be too," Fairbanks says. The Peace Pool Party is being spearheaded by Brooks, the party attendee who filmed the incident. Distressed by the actions he saw, Brooks hopes to create a welcoming atmosphere for all. "It’s just an event to make up for what happened and it’s open to everyone who would like to come," Brooks said in a FaceBook video. "There will be a DJ, food, and fun for the whole family." Activist Ezra Van Auken took Brooks’ idea and ran with it. He told Fairbanks that "all of us should remember in chaotic times and disputes, to find our peace, and to remember what makes this world go round – peace." A GoFundMe campaign has already begun raising money for the Peace Pool Party. While the party is still in the very early planning stages, there are few details that have already fallen into place. The event will be held, naturally, in McKinney, Texas, and Fairbanks and her crew are trying to enlist the help of some big name bands. "I’m super excited," Fairbanks says.